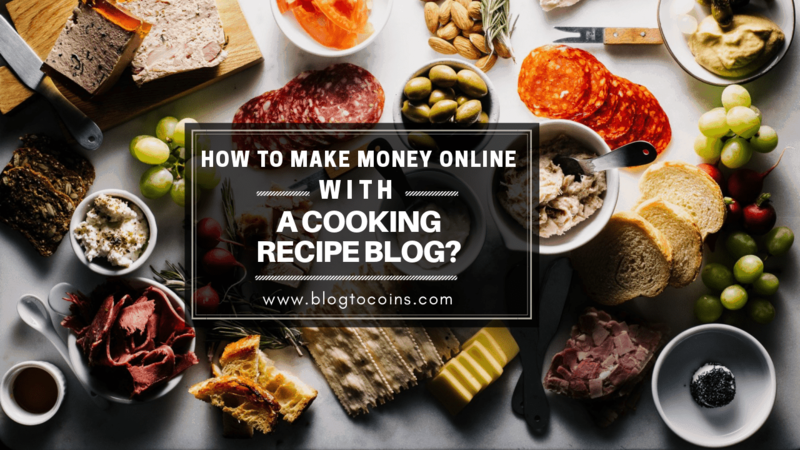 The best way to monetize your business online is by creating a blog; as a cooking enthusiast, you can make a lot of money by creating a cooking recipe blog. The amazing thing about this is the fact that you can do it anywhere in the world from the great walls of China to the busy farms in Kentucky, USA. Your passion for food can double as a means of income if used properly. This article will show you how to commercialize your love for food and cooking by owning a blog. There are food bloggers who make a lot of money and there are those who do not make that much, the difference? Knowledge is a simple difference. Getting traffic to your blog is probably the biggest challenge that you will have to face as a blogger. Set up an ‘about page’ and make it very catchy and use it to sell yourself and your skills. Take great images; guests on your pages cannot taste the meals. This gives you the luxury of impressing them with lovely pictures. This is one great way to increase traffic. Engaging people on other food blogs can be a good way to improve traffic on yours. By dropping engaging comments on other food blogs and other food websites, you can show yourself to the wider food community. Host a giveaway and give out catchy prices to winners, virtually everyone loves free stuff. Selling your own products such as recipe books, custom-made items, and the likes can be a means of income generation and at the same time help you to increase traffic. In order for cool cash to start rolling in and make money online as a food blogger, I will point out 5 steps of things that you need to do. It is important that you do these things effectively to ensure best results. Becoming a food blogger is not just something that is done because you know how to cook. There are several food bloggers that make awesome foods and that is where it ends for them. To go a step further and make money from your cooking recipe blog you have to research. Firstly, you need to choose a niche (i.e. what area(s) you want to focus on) and then research about that niche. Researching the niche will not only give you other ideas regarding the things you need to do but it will also make other steps easier in the process of making money online as a food blogger. This is a pretty easy process and it is almost free. All you need to do is to pick a domain name and register it then you will go on to purchase web hosting and then install WordPress on your website platform. After the setup is complete then you can go on to customize the blog. This is where you can decide to do something unique and make the blog look awesome. Your blog is like your online business headquarters; therefore, it is important that the designs are top-notch. You know what they say about first impressions? This is the most important factor to consider when you are creating your cooking recipe blog. Content is what sets successful blogs from the rest. Since the people that visit your blog cannot have a taste of the food, they are left with the content. From your written contents to your pictures and videos, it is important to consider the visitors or readers that visit your blog. When you have top-notch content, your food blog will experience amazing growth. Once you have been able to complete the first 3 steps, your cooking recipe blog is ready to kick start and start making a profit for you. To ensure that this is the case, promotion is very vital. Go to various forums and share it, you can also use some forms of paid adverts to promote the blog. Although promotions are important, they are not as important as having great contents that are worth promoting. Extras like giveaways and so on. The secret to successfully running a cooking recipe blog and in turn, making real money from it is creativity. You need to find ways to give the readers what they need to read and to do this you would need to find out what the readers want. When this is done correctly then your blog will experience tremendous growth.